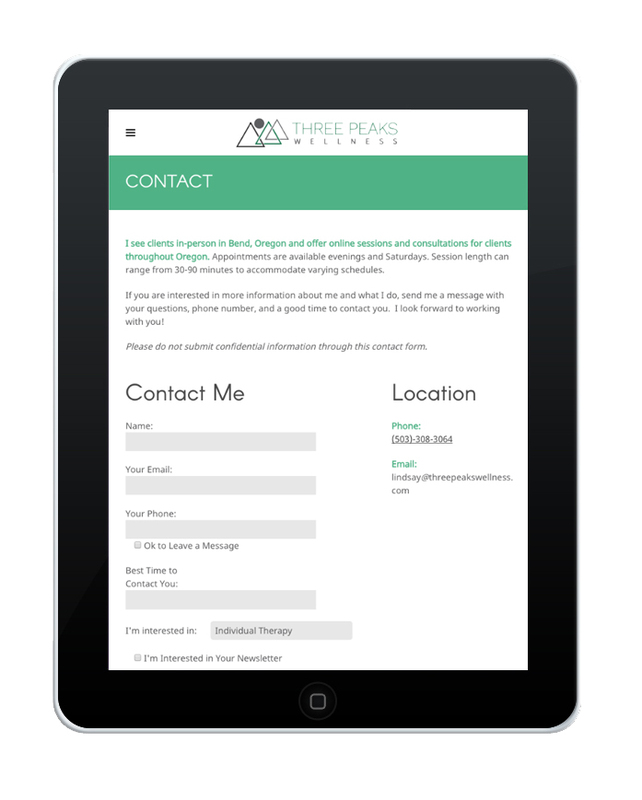 With a unique vision to integrate movement with mental health support, Three Peaks Wellness needed help laying the brand foundation for her new therapy practice. We designed a logo that calls back to the Three Sisters mountains, and to the three core elements of her therapy approach. 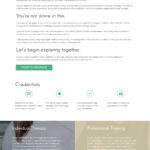 Once we established her brand voice and overall look-and-feel, we created a clean and uplifting website that introduces Lindsay and her approach to therapy, and encourages visitors to connect with her about individual therapy and professional training. Upswept did the brand and website design for my new business, and I love everything about the design and functionality of my site. 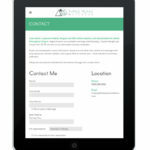 They were able to take my vision and turn it into creative and compelling copy, and kept the design clean and efficient.